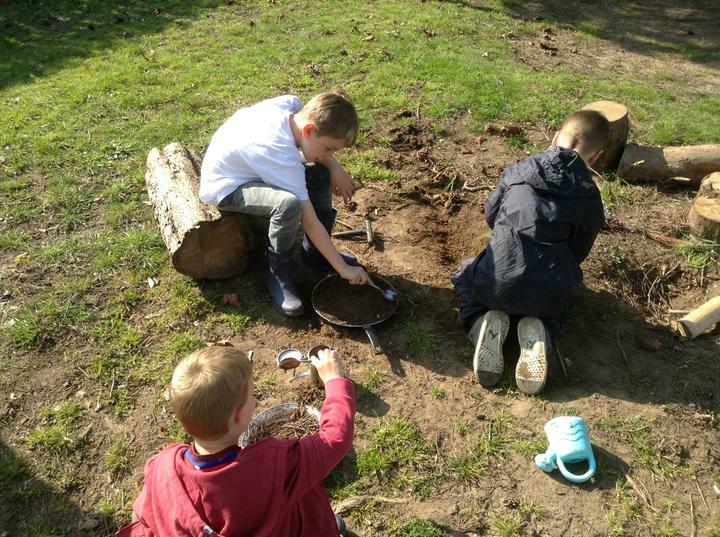 This week at Forest School we have been busy in the kitchen for a Master Chef challenge. 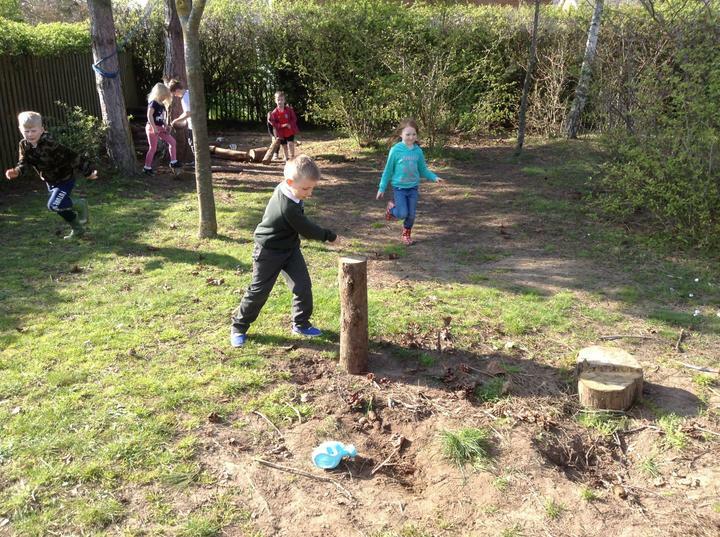 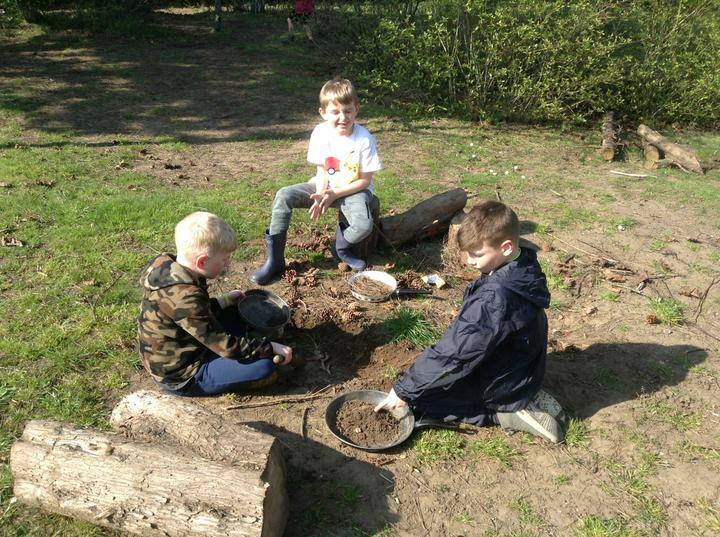 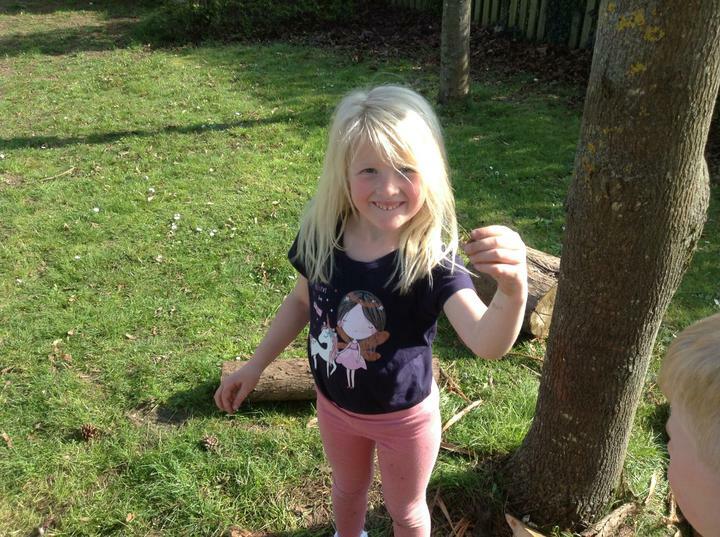 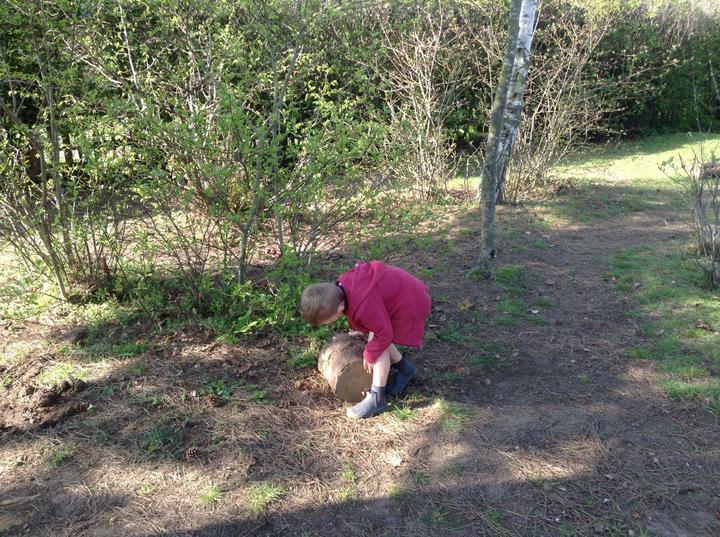 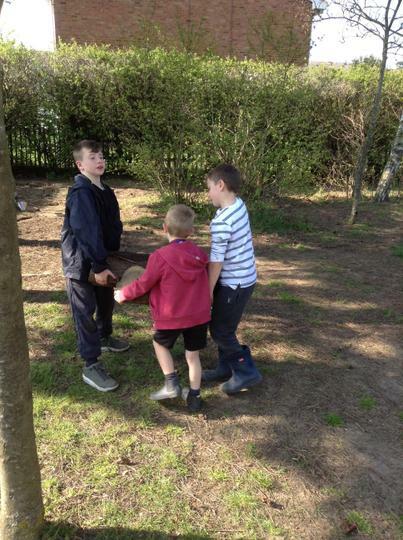 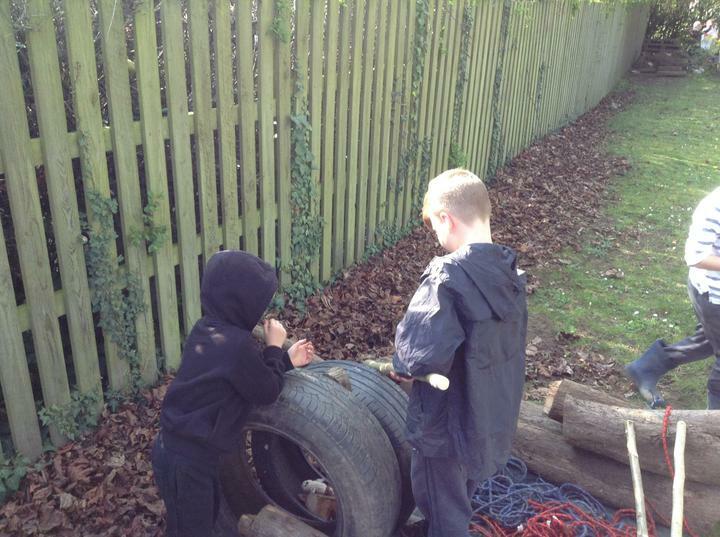 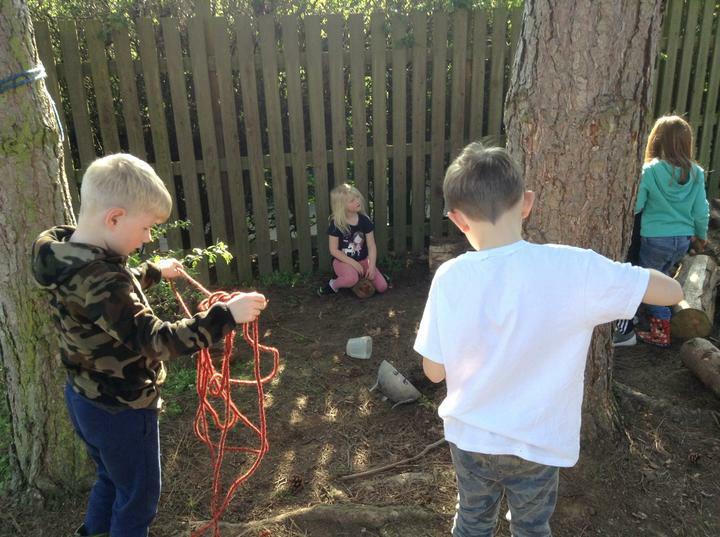 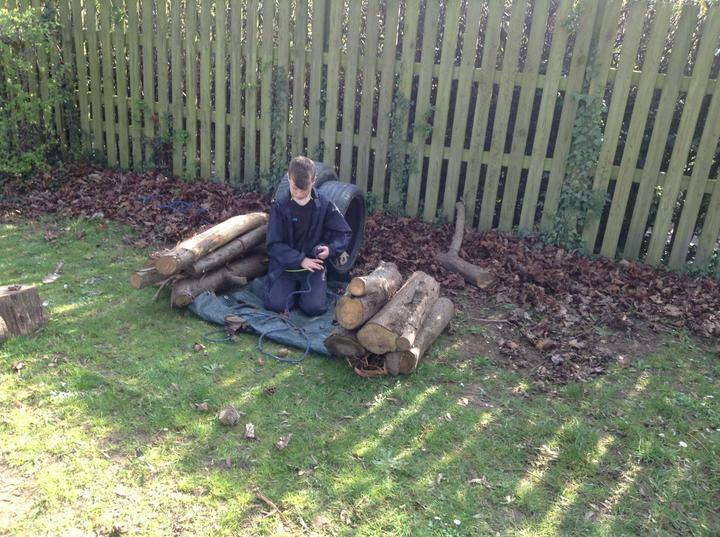 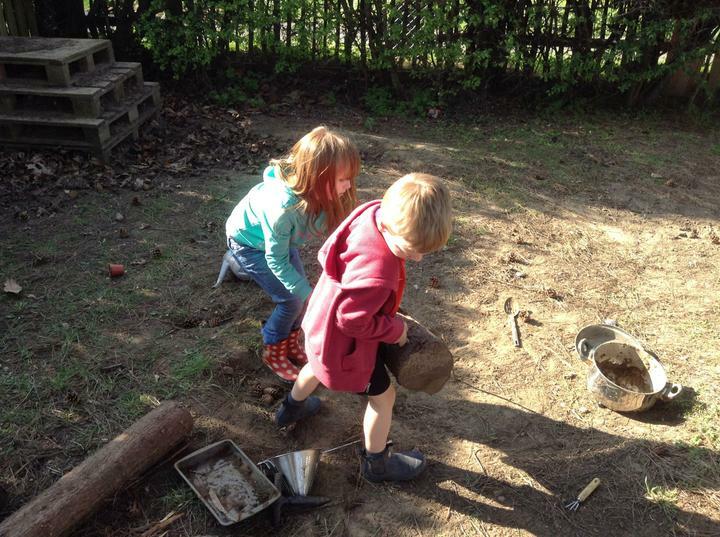 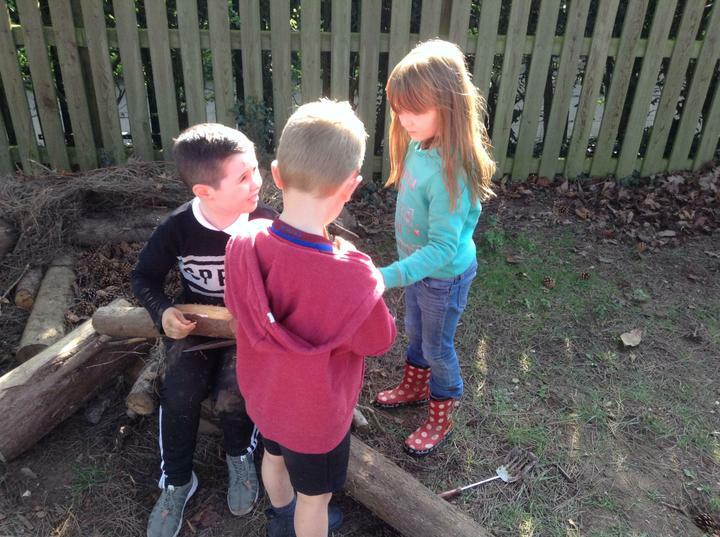 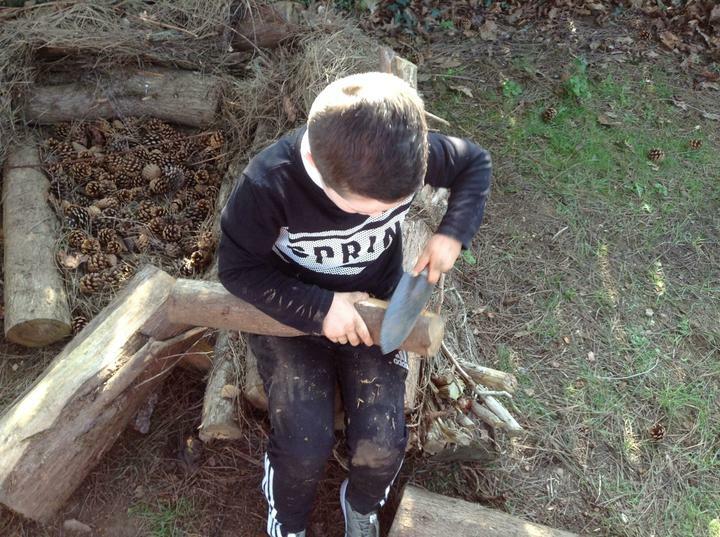 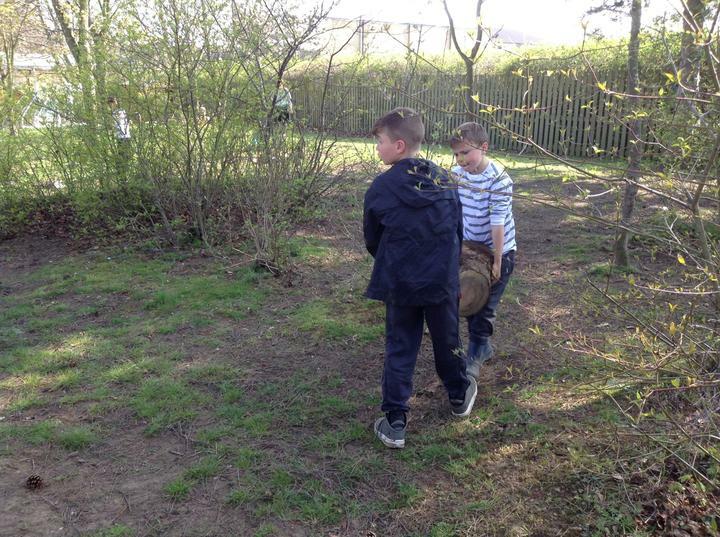 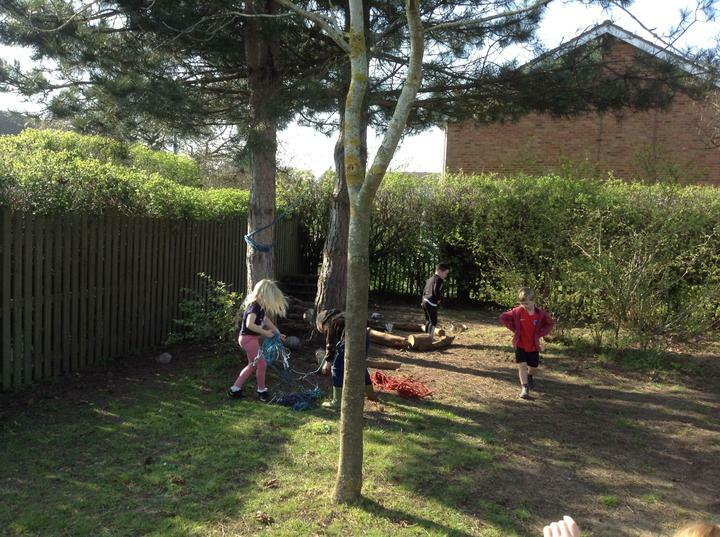 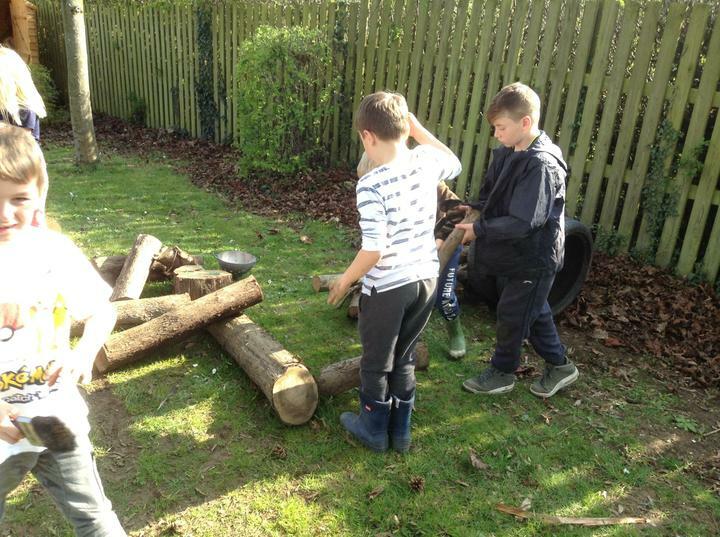 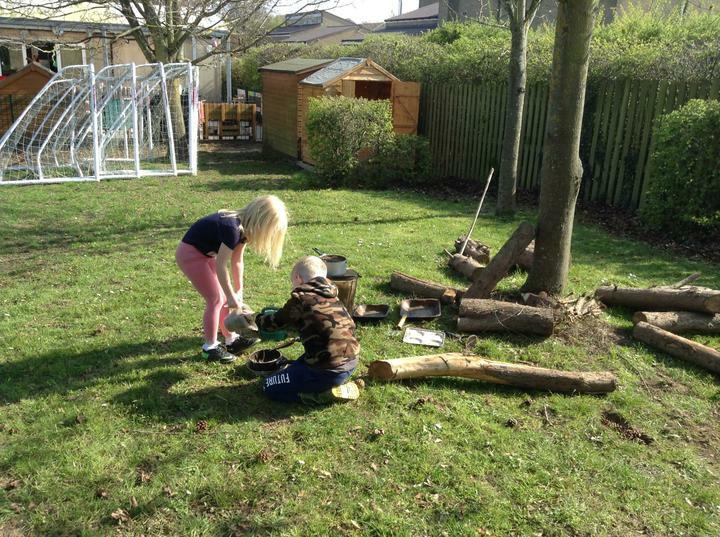 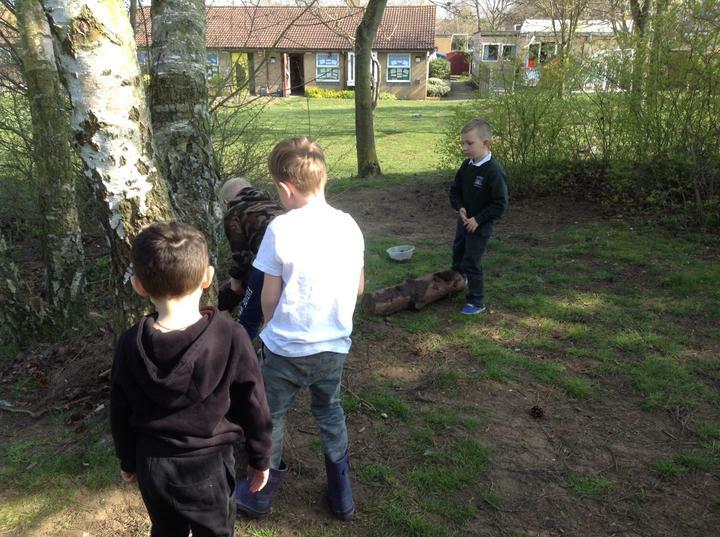 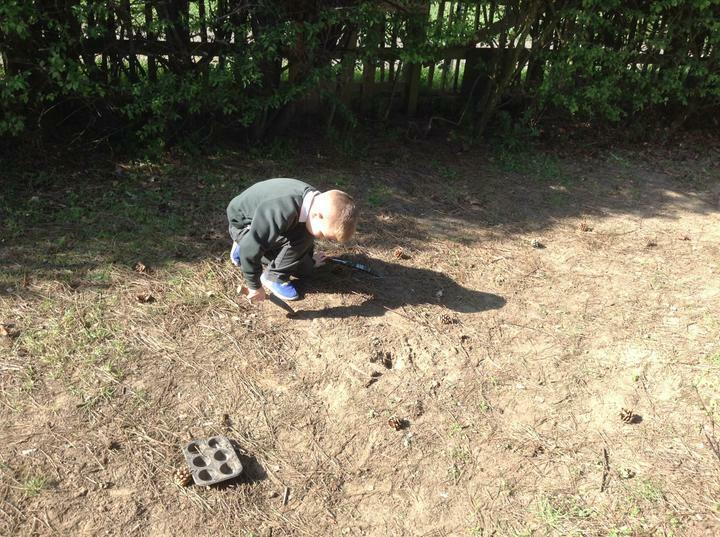 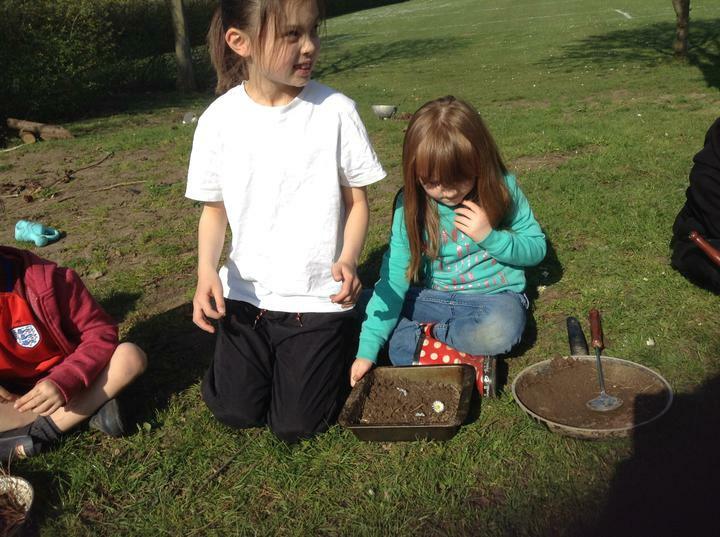 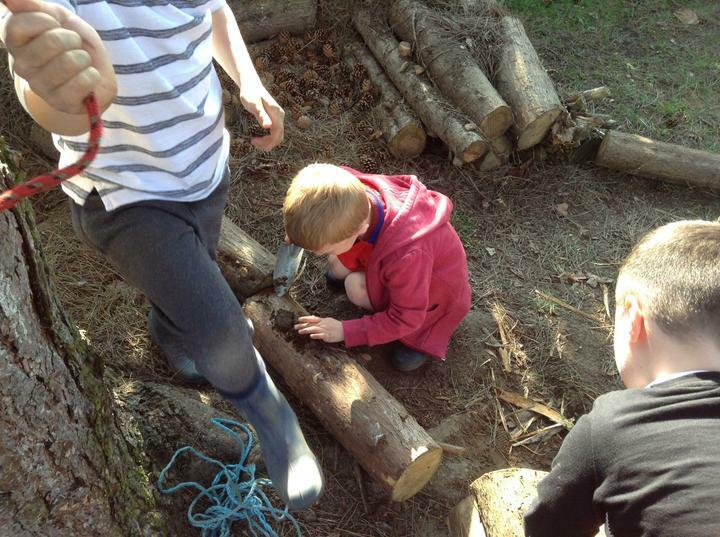 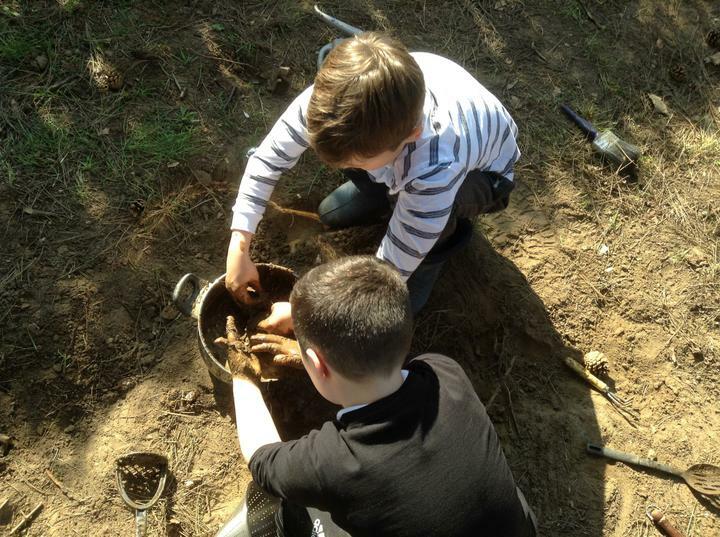 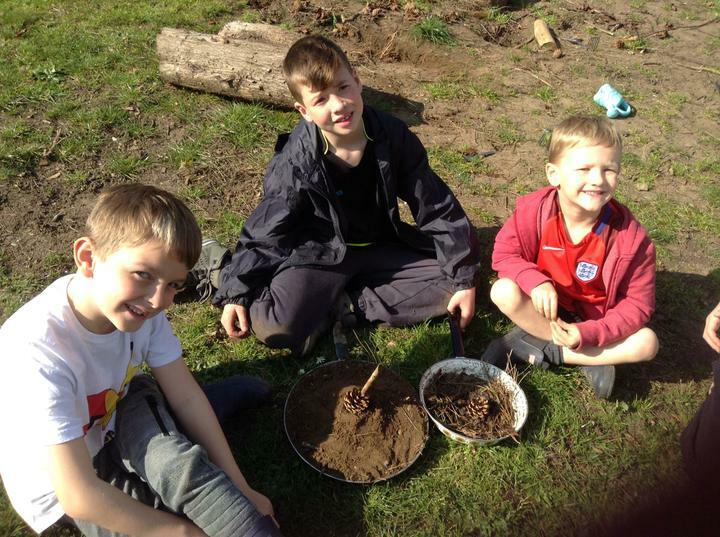 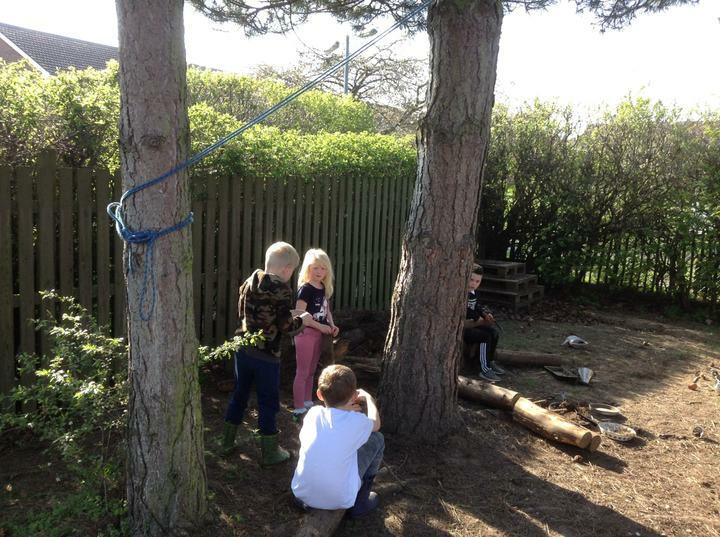 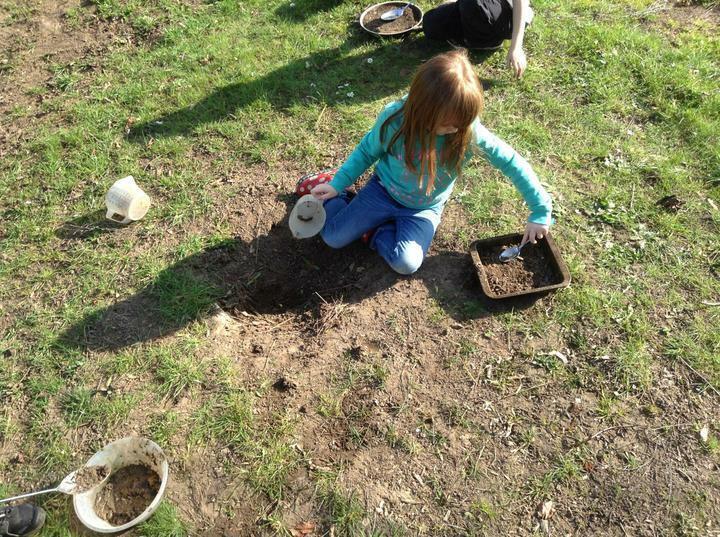 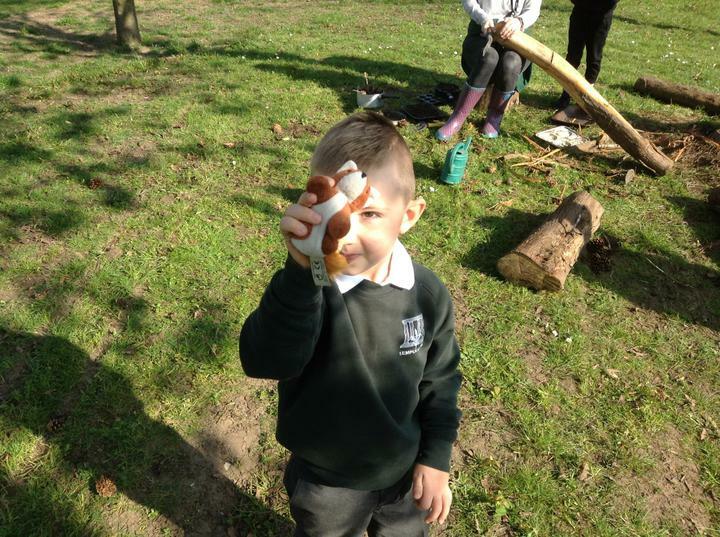 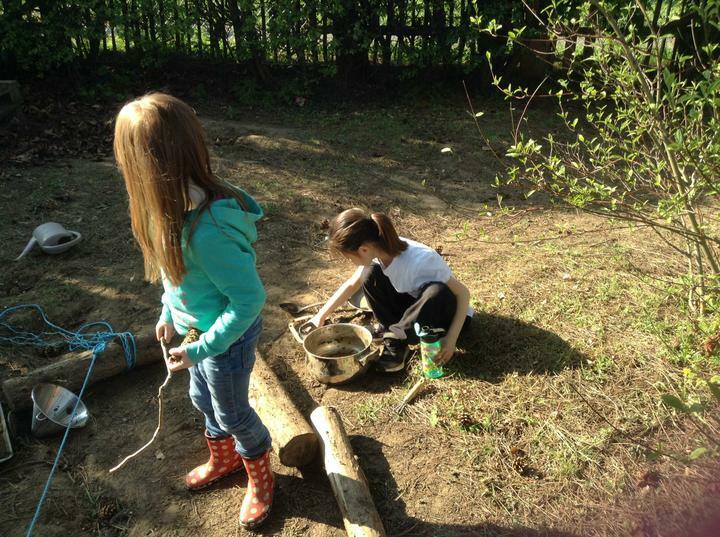 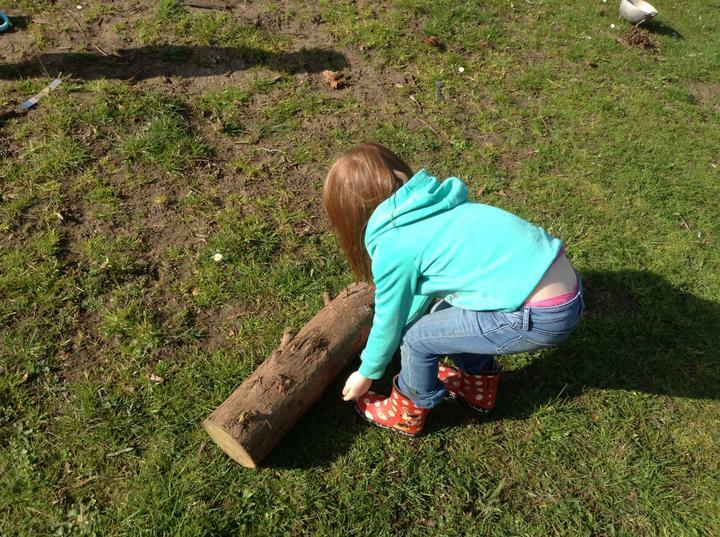 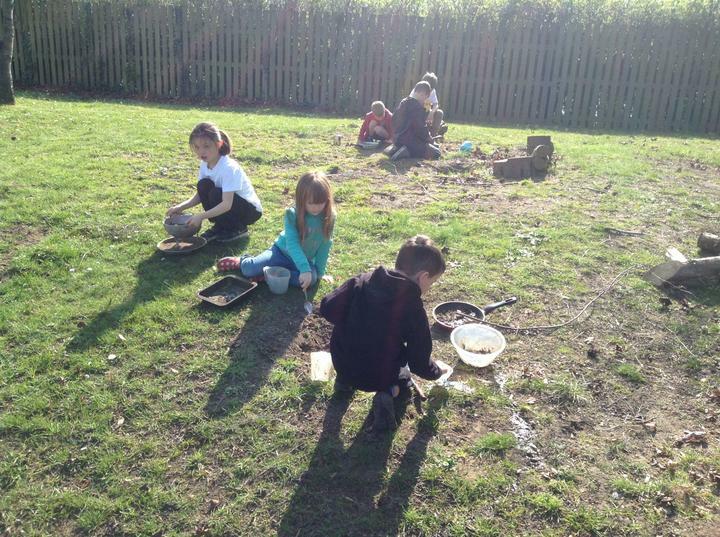 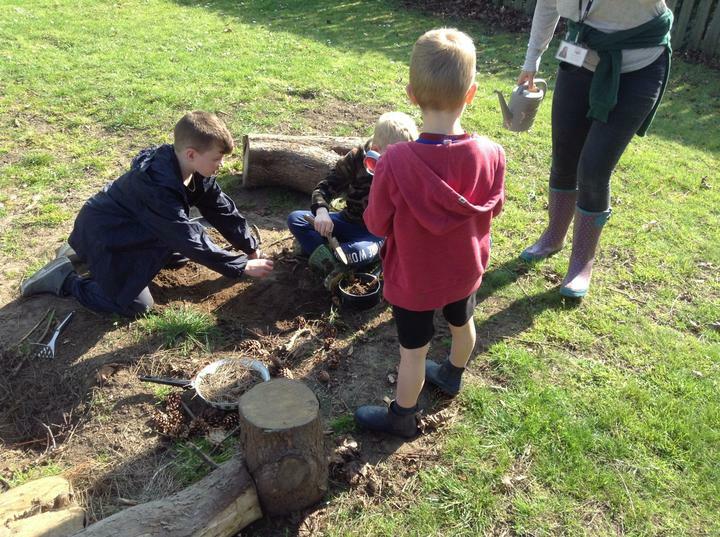 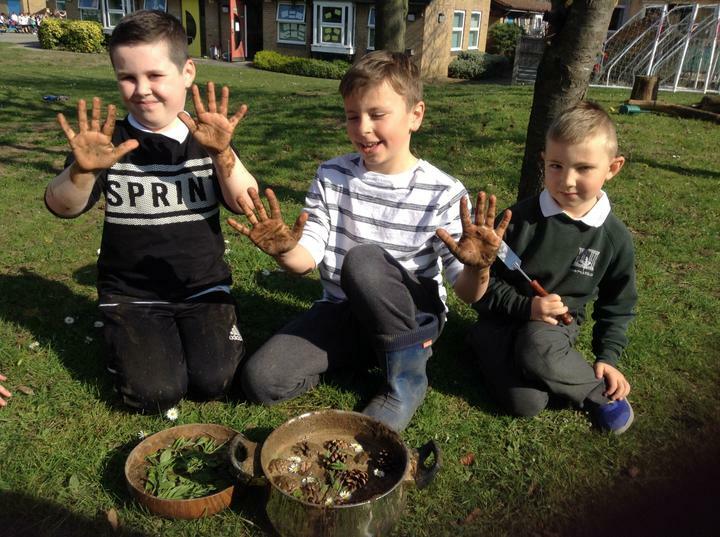 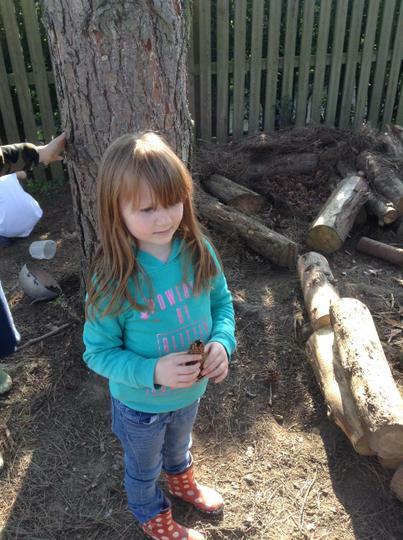 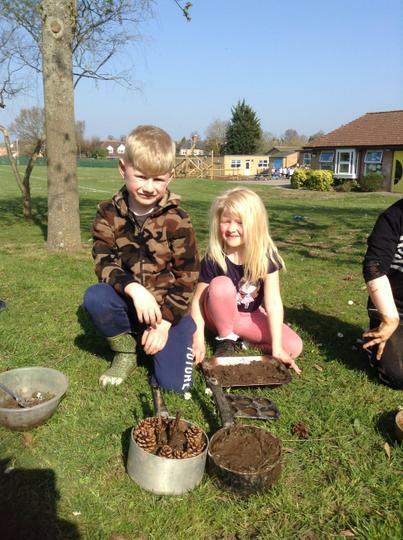 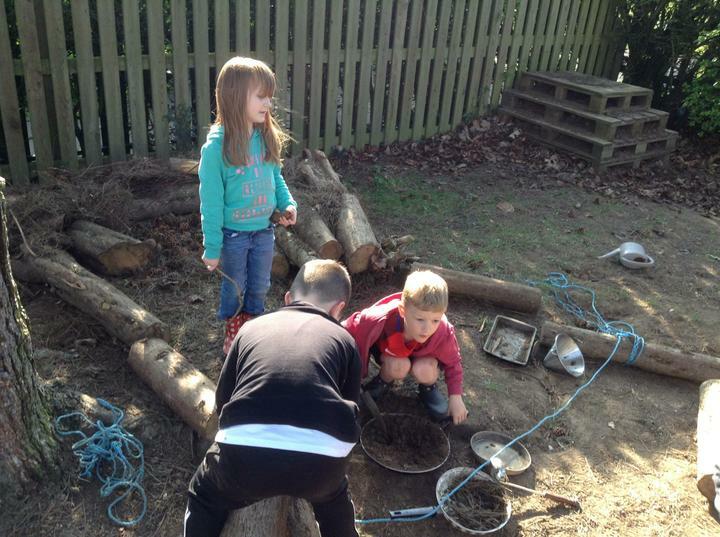 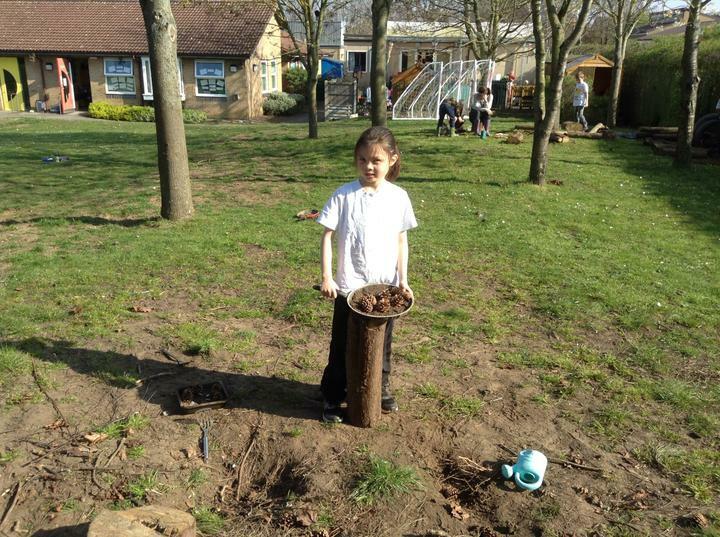 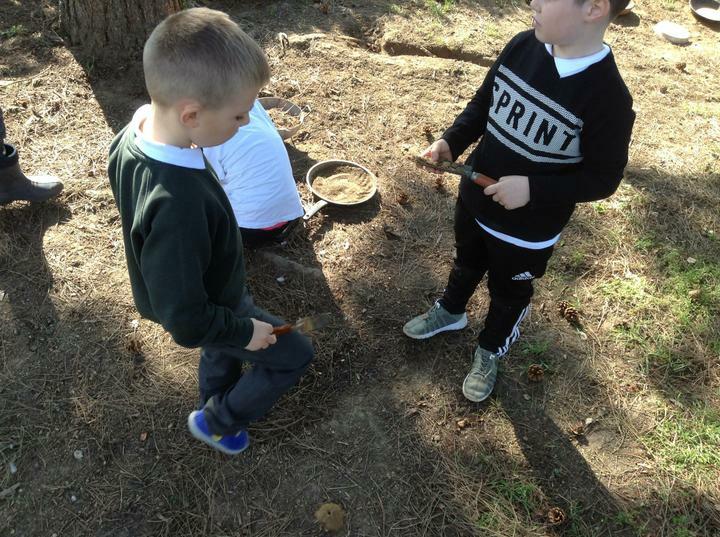 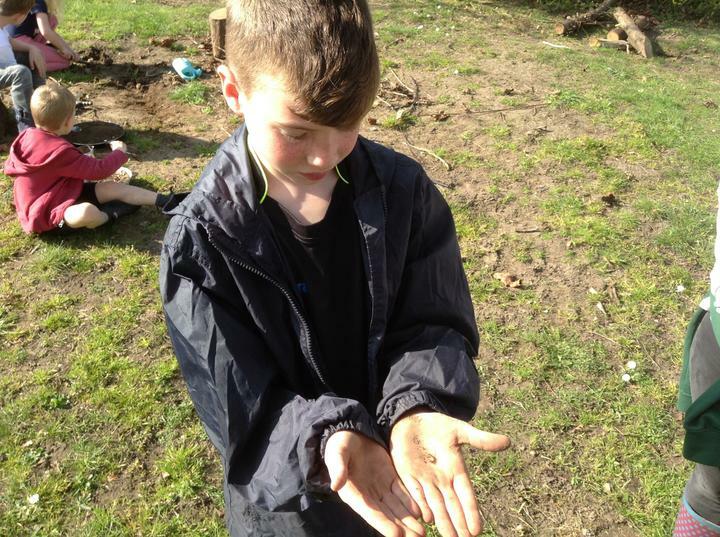 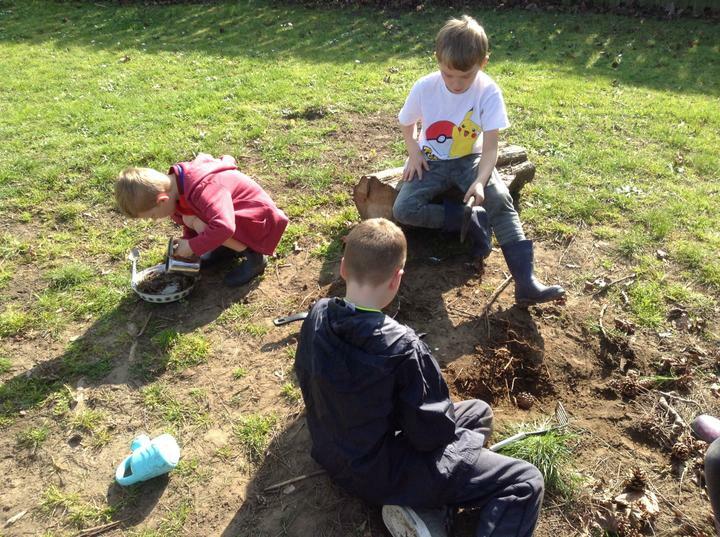 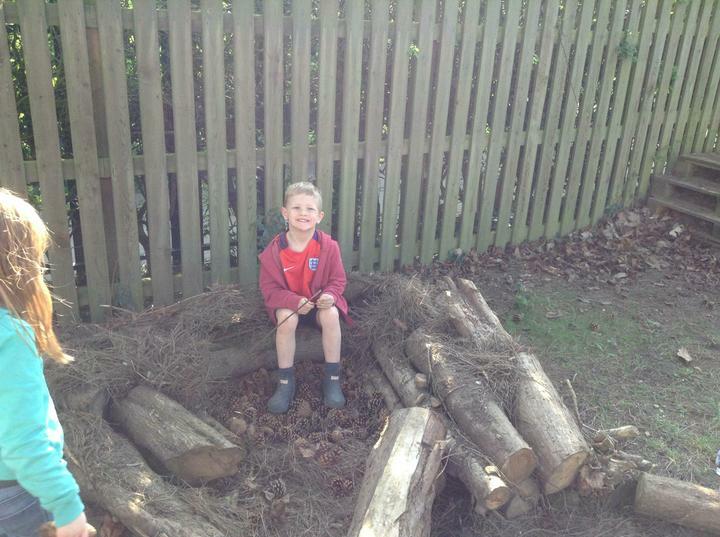 The children worked in teams to create the most delicious meals they could using things they found in Forest School. 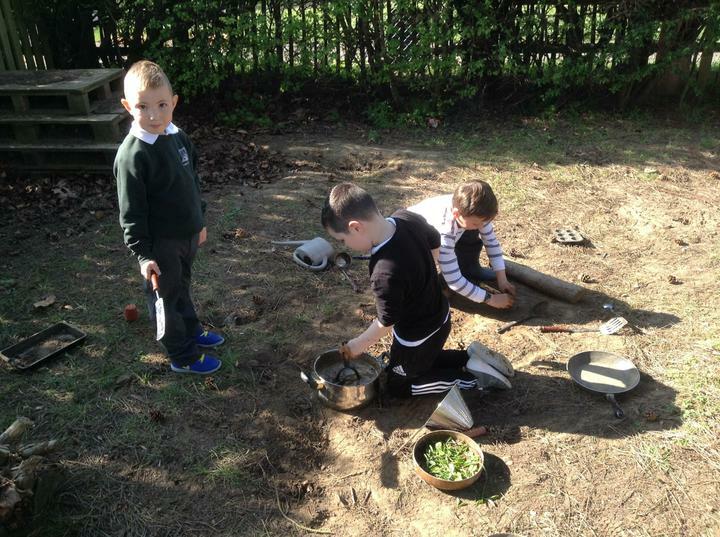 They all did a fantastic job and created a wide variety of different meals for Mrs Suddaby and Miss Morris to try. 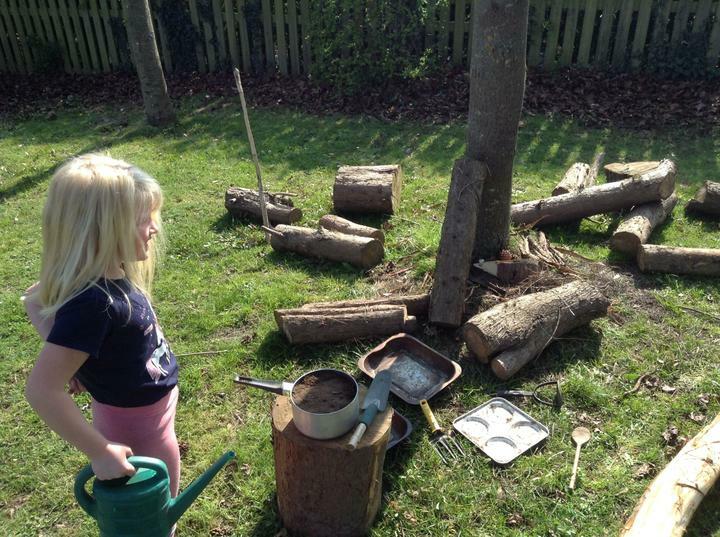 There were stews, chocolate cakes, strawberry cakes and even soup! 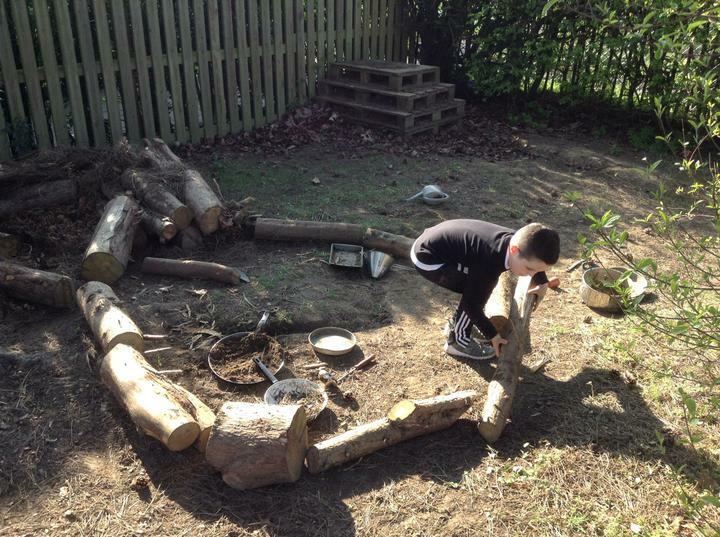 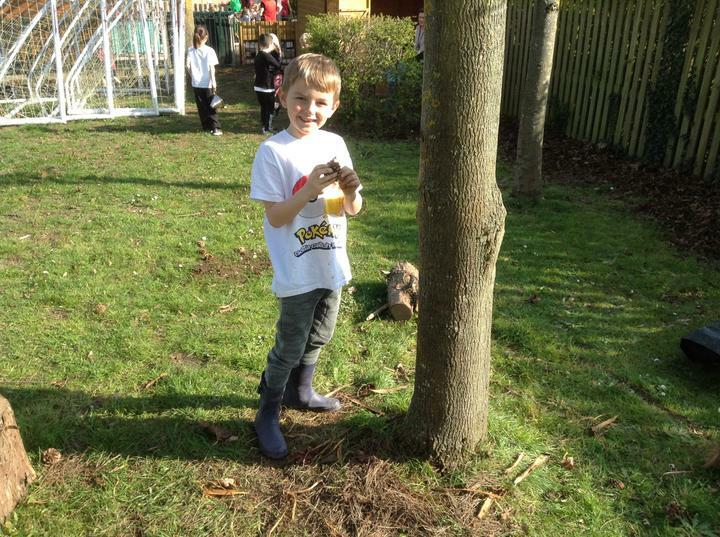 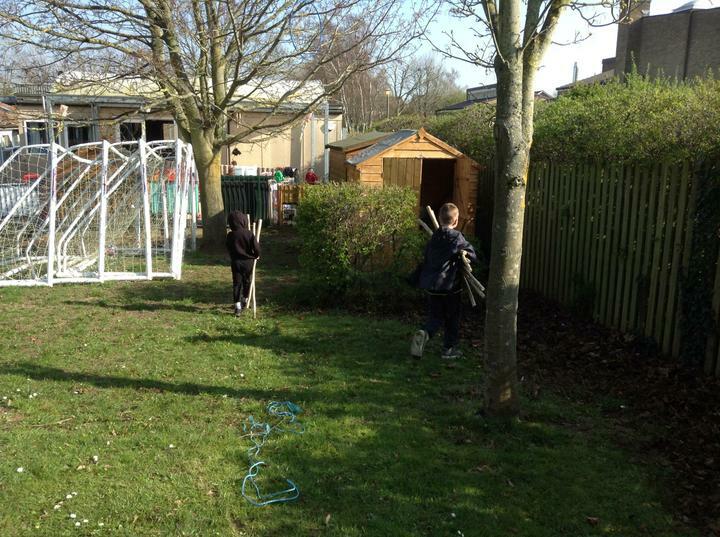 After, we all had some free choice time where we decided to carry on making our animal houses from last week. 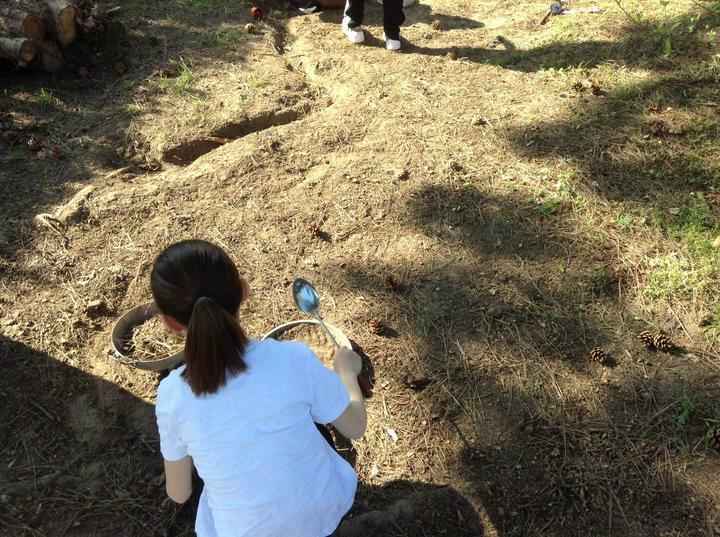 We all worked together to do this and helped with all the heavy lifting, even if it wasn't for something we were doing. 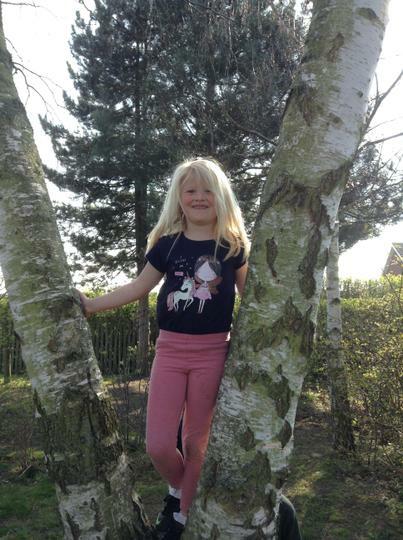 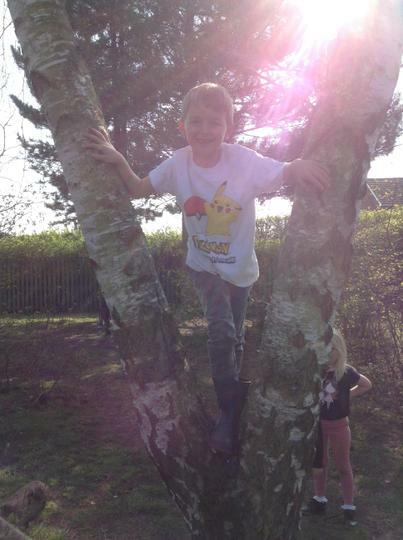 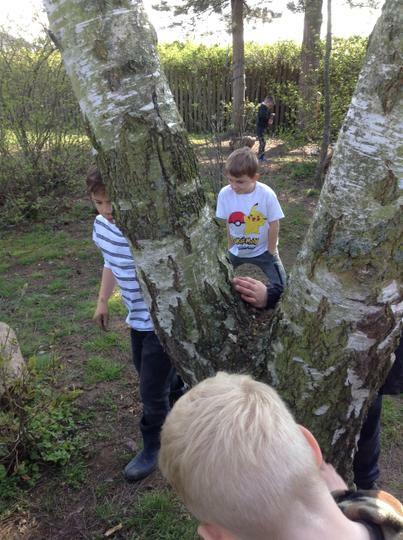 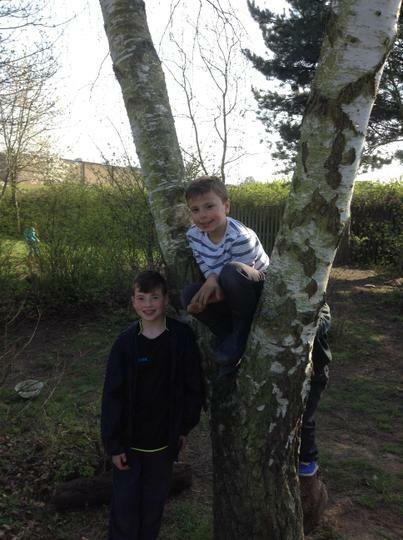 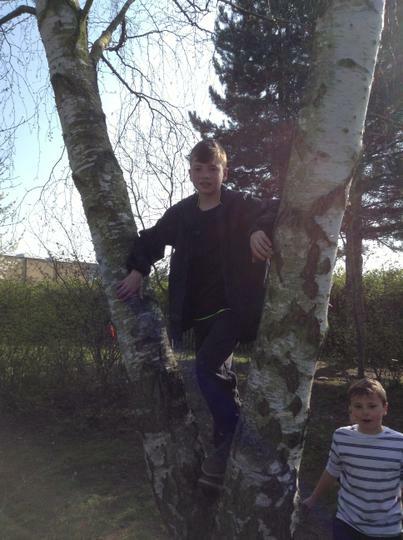 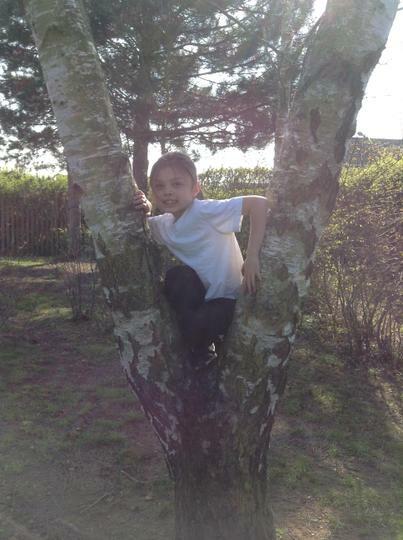 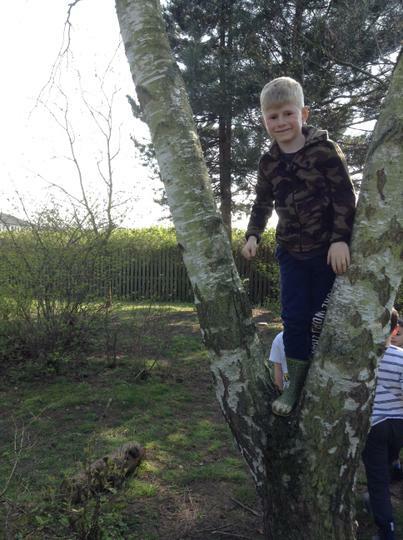 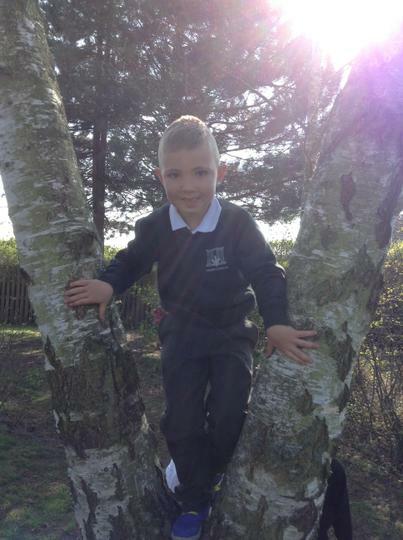 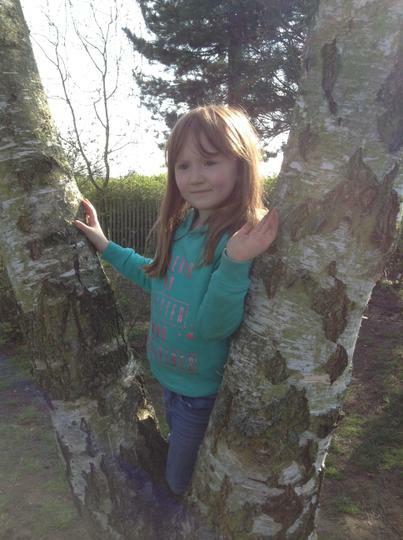 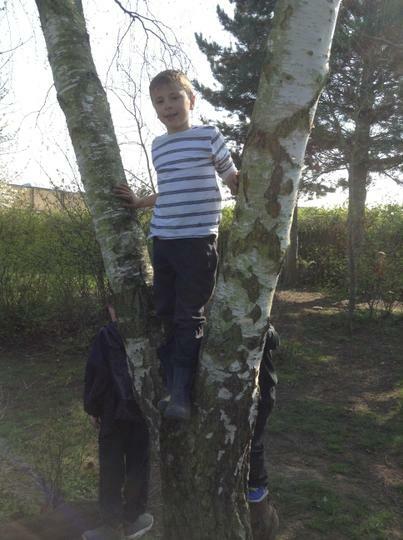 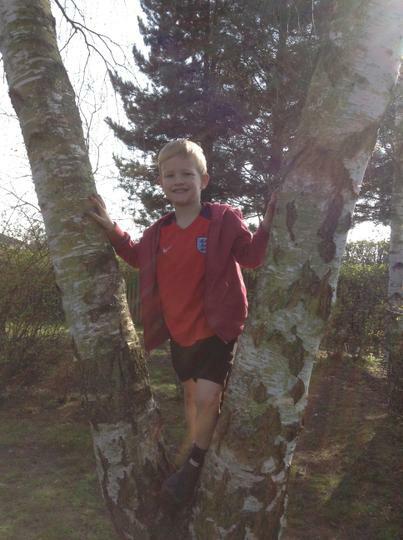 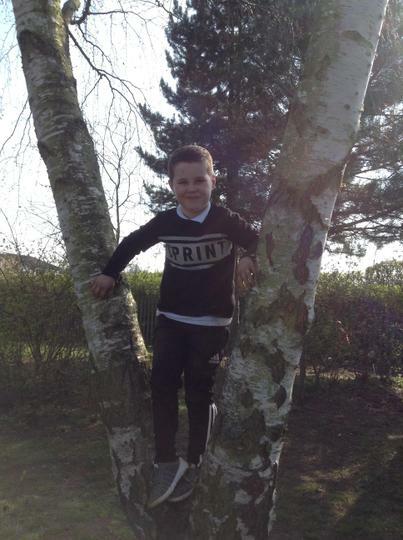 Finally, we had a go at climbing some trees. 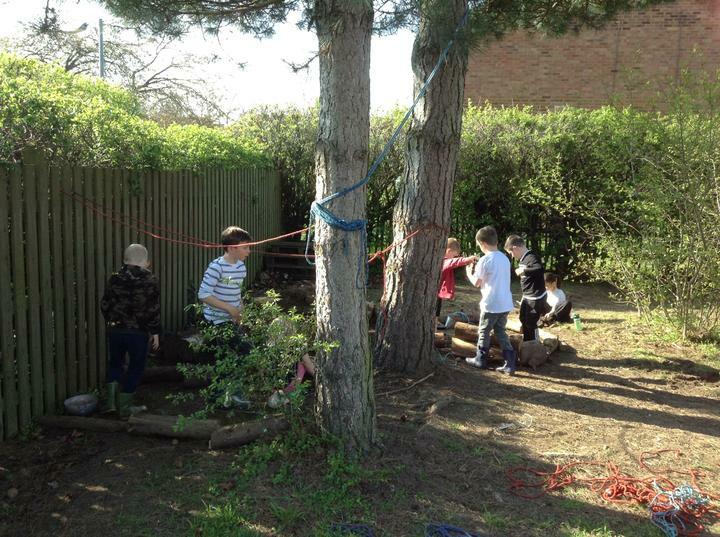 Some of us were a bit nervous to begin with but we all managed it.